Working women: can we really have it all? Good news: the U.S. unemployment rate just dropped to 7.7 percent, the lowest number we&apos;ve seen in 4 years. Bad news: most of the highest-paid jobs in this country still belong to men. The outliers in this scenario are two incredibly successful women of the Internet age: Facebook COO Sheryl Sandberg and Yahoo CEO Marissa Mayer. However, these media mogals have recently been on the receiving end of some harsh criticism for the way that they choose to navigate through a man&apos;s world. Women clamor for more female CEOs, but when one of our own does make it to the top, we&apos;re often the first to start tearing her down. Sandberg has been mocked by female critics as "a PowerPoint Pied Piper in Prada ankle boots" (nice alliteration, Maureen Dowd) who "doesn&apos;t do enough" to empower other women. Meanwhile, Mayer has received her own fair share of feminist backlash by telling her employees that they can no longer work from home, then building an office nursery for her child and not extending the same courtesy to other parents on staff. 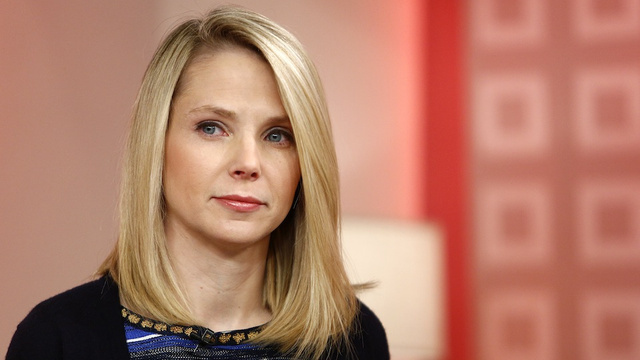 I sympathize with the working mothers of Yahoo, especially since Mayer has the million-dollar luxury of bringing her baby to work while the rest of her lowly peons do not. Still, I believe that Mayer&apos;s decision was made with the best of intentions, even if she does come across as a bit of an elitist in doing so. Mayer saw that her at-home employees weren&apos;t signing in on a regular basis, her company started slipping and she did what she had to do to get everybody back on track. Also, paying for her kid&apos;s nursery with her own money is, in a roundabout way, setting a positive example for her staff members: "I&apos;m making you come to the office, so I&apos;ll be here every morning too--with my newborn baby in tow." The hate for Sheryl Sandberg, on the other hand, seems even less justified. 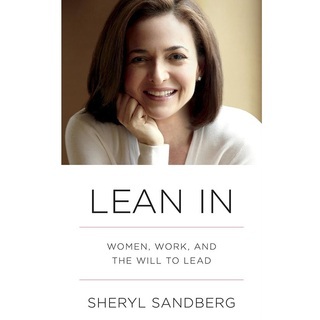 Her new book, Lean In: Women, Work and the Will to Lead, encourages women to participate, or "lean in" to get ahead professionally. Sandberg earns a reported $30 million a year, so surely this is sound advice. Well, reviews from female critics have been decidedly mixed. While some offer a smattering of faint praise ("Sandberg&apos;s advice to young women, which can sound like a finger-wagging admonishment when taken out of context, is framed here in more encouraging terms," writes Anne-Marie Slaughter of the New York Times), most lash out with sharp-tongued vitriol. As Connie Schultz attests in the Washington Post, "Sandberg barely mentions the millions of single mothers in the workplace. She does, however, advise women on how to find a supportive spouse--who in her book, is almost always male. Ambitious lesbians will have to find their tutorial elsewhere." Okay, so maybe Sandberg isn&apos;t the next feminist icon à la Gloria Steinem or Rachel Maddow. She may not even be the best person to advise working moms on how to advance their careers, considering that her multimillion dollar salary doesn&apos;t make her all that relatable. But does she really deserve this much animosity from the women she&apos;s trying to help? I don&apos;t wholeheartedly agree with every theory that Sandberg lays out in her book, but I applaud her (and all the women featured in the PBS documentary Makers) for drilling holes in the glass ceiling that would not have been possible even 20 years ago. Perhaps we should focus on building up our female leaders instead of bashing their every move, considering that we still don&apos;t have very many of them to represent us. According to Bloomberg, women only held 14.3 percent of executive positions at Fortune 500 companies and 16.6 percent of board seats in 2012, while over half of companies surveyed had all-male directors. These statistics are troubling for several reasons. First of all, it is a proven fact that companies perform much better when they have more female directors. Massive corporations (with market caps of over $10 billion) that included women on their boards had stock prices that outperformed their peers by 26 percent over 6 years, which is no small feat. Also, there has been an overall lack of progress to closing the gender gap, with the number of women in leadership positions rising at a "glacial pace" of only 1.4 percent since 2011. Ladies, we need each other. Instead of building walls out of spite, jealousy or sheer "mean girl" cattiness, let&apos;s try championing and supporting one another instead. If we band together and form a united front, lingering misogyny in the workplace won&apos;t stand a chance against us.